Colibri’s Fusion lighter comes equipped with a powerful and wind-resistant single torch flame for toasting and lighting your favorite cigars. The Fusion’s ergonomic push-button ignition and unique "Pistol Grip" design put a perfect light right at your fingertips. Not a bad purchase. It puts out a great flame. Only issue I have is you have to fill it every couple of days. I use it mostly on my golf cart lighting and relighting my stogies. The torch has gonly gone out once or twice with the wind blowing. But, I just adjusted the flame a little and it worked like a champ. Wished I had gotten a blue one, but the red is OK! Good affordable lighter. The fluid doesn’t seem to last a long time, so refilling often is necessary. 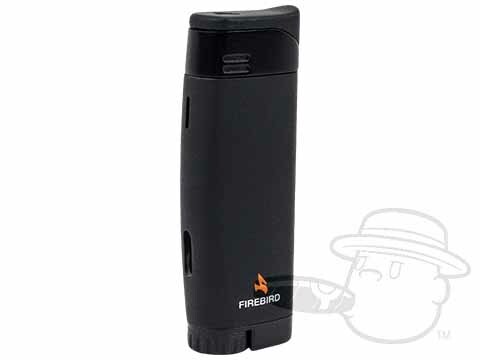 Firebird Fusion Lighter By Colibri - Assorted Colors is rated 4.3 out of 5 based on 3 customer ratings.